The Grow America Strong campaign recently conducted a nationwide poll. The campaign has issued a set of findings using infographics. Consider sharing these data points as you communicate with others about investing in early childhood education. Let us know what you think about the figures. Do they surprise you? Depress you? Give you hope? 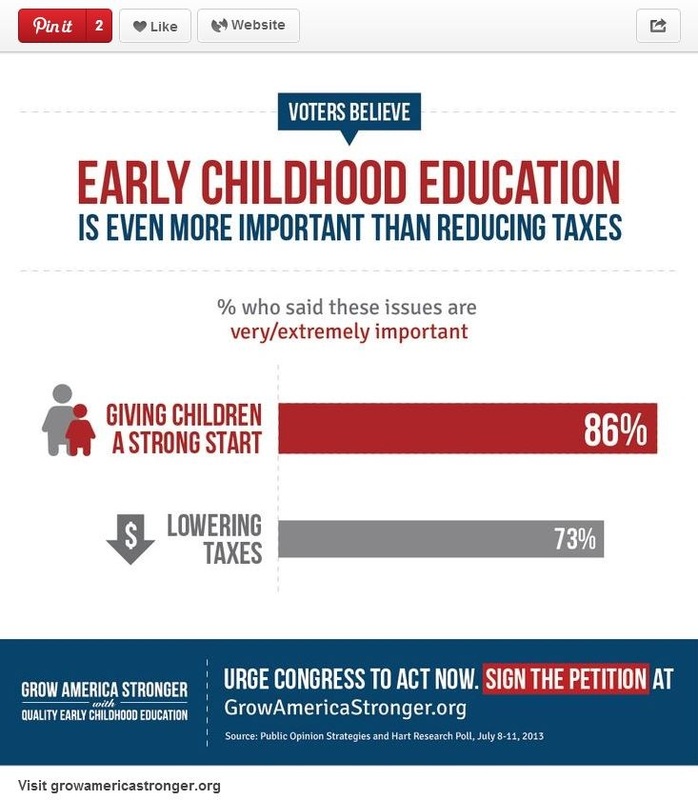 There’s also an online petition at “Grow America Stronger” affirming President Obama’s early childhood initiative. Your voice matters as momentum grows for this critical national investment. What does giving children a “strong start mean?” What age does this start?